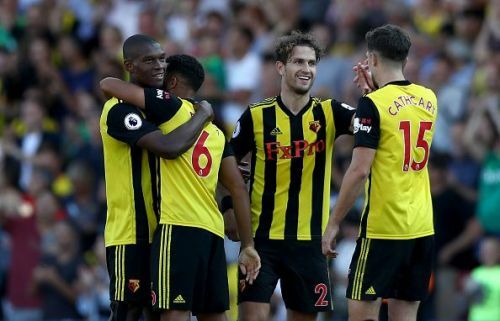 Although it is expected that the 'Big Four' of the league will dominate the league, we have to accept that secretly all of us want upsets to happen. Honestly, it is oddly satisfying for a football fan to see little-known clubs at the top of the table. This international break has provided us with the opportunity to take a look at the top standings across Europe. Well, the good news for all of us fans around the world is that we find some rather unexpected teams at the top of the standings. So, let's take a look at the 5 clubs who have managed to break into the top four of their leagues, and surprised the fans and pundits alike. VFL Wolfsburg, which started out as a team of automobile workers way back in 1945 is a well known name in the Bundesliga today. Die Wölfe have won the Bundesliga once in their history, exactly 10 years ago in the 2008-09 season, but their fortunes have since changed. Though the team had its fair share of top quality players in recent years, like the 2017 UEFA Champions League finalist Mario Mandžukić, Manchester City midfield maestro Kevin De Bruyne, and Julian Draxler, it is not a club one expects to compete for the "Deutsche Meisterschale." 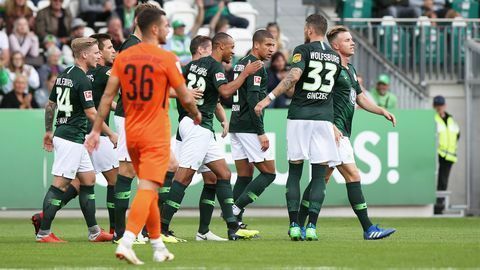 As recently as last season, it barely managed to retain its Bundesliga status by beating Holstein Kiel 1-0 (4-1 on aggregate) in the relegation play-offs. But it seems things are getting back on track under Bruno Labbadia. So far they have managed to defeat Schalke and Bayer Leverkusen. As a result, they sit surprisingly at second position in the league standings, behind only the German giants Bayern Munich on goal difference. One thing's for sure: no one would've expected the last season's worst performers to score the maximum points this season so far.